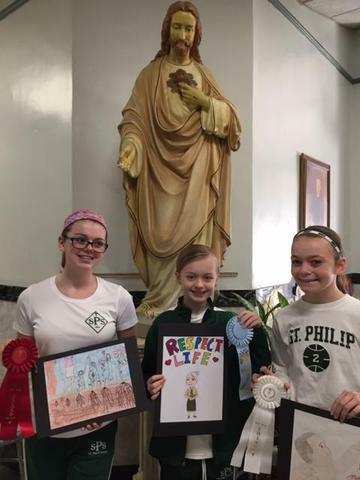 Congratulations to 8th grader Grace Ravenstahl who won 2nd place in the Birthright Respect Life Poster contest. Sixth graders Natalie Kirsch and Addison Hazuda took 3rd and Honorable Mention respectively. The girls’ posters were displayed at the Birthright Art Show at this year’s luncheon fundraiser.